Breast pumps are an incredibly vital tool for many mothers: those who return to work after baby, those whose baby has difficulty latching, and some who simply cannot breastfeed (or do not desire to, and that’s okay!) but still want their baby to receive the liquid gold that is breastmilk. It is common knowledge that many insurance companies will assist in the purchase of your pump. But the amount they help cover is about to change. 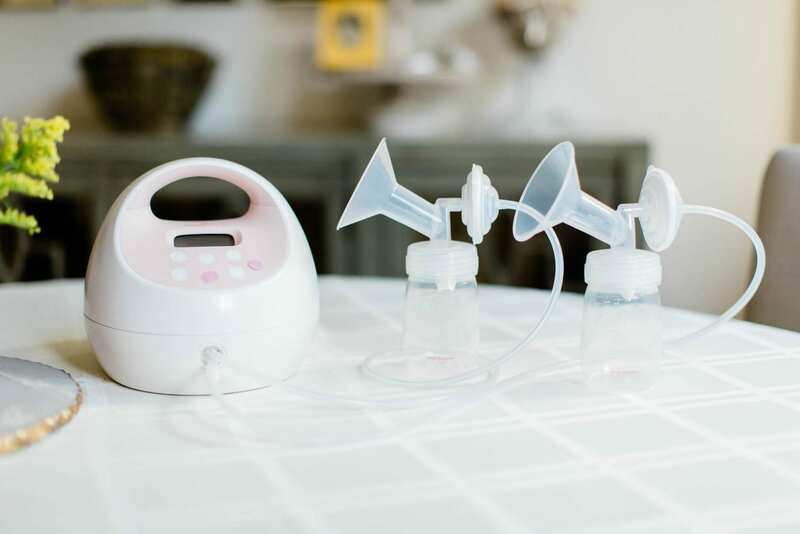 As of April 1, Anthem has drastically cut reimbursement for quality breast pumps by nearly 45 percent (from $169.15 to a low rate of $95). The result is that millions of moms have less support at a time when new mothers and babies need it most. This change has not been released to the public yet. Meaning many mothers and physicians are not aware of this reduction and could be caught unaware. “Anthem” is an insurance company that also operates under the name Blue Cross Blue Shield in some states. This company covers more than 40 million people in 14 states, including California, Colorado, Connecticut, Georgia, Indiana, Kentucky, Maine, Missouri, New Hampshire, Nevada, New York, Ohio, Virginia, and Wisconsin. “The cuts, which were not announced to its subscribers, come after Anthem reported a record increase in profits by 234 percent in the fourth quarter of 2017, with projected growth in 2018”. Many public health organizations and coalitions across the country have spoken up against this drastic measure, including Moms Rising, US Breastfeeding Committee, Alabama Breastfeeding Committee, Florida Breastfeeding Coalition, The Wisconsin Association of Lactation Consultants, The Wisconsin Breastfeeding Coalition, The Connecticut Breastfeeding Coalition, The Indiana Breastfeeding Coalition, The Colorado Breastfeeding Coalition, Kentuckiana Lactation Improvement Coalition, and Pennsylvania Resource Organization for Lactation Consultants recognizing the potentially devastating impact the change might have on mothers and babies. In addition to the outcries from these breastfeeding advocates, moms, and health care professionals about this issue are adding their names to the open letters and Change.org petition in hopes of reversing the policy. Moms need and deserve to know about this impact. Aren’t Breast Pumps Covered Through Insurance? Current regulations require that most health insurance plans cover breastfeeding support and supplies at no cost-share. New research recently published in the American Journal of Public Health demonstrates that this benefit has resulted in an increase in breastfeeding. However, Anthem BlueCross’s decision has severely limited the range of pumps available, preventing some mothers from effectively extracting milk or keeping up with their milk supply. As a result, moms’ supply may be compromised and they will likely give up on breastfeeding altogether. And further milk banks critical to young and premature babies in need may see a subsequent drop in supply. Pumping is not a one-size fits all and quality matters. Reducing the reimbursement rate for breast pumps limits choices and quality of pumps for moms when they need the most flexibility. More moms (63.8 percent) are returning to work today than ever before. Working mothers who want to continue feeding their infants breast milk rely on breast pumps. The facts are clear. Breastfeeding improves health, and saves the nation and families resources. Exclusive breastfeeding for four months is associated with 50 percent reduction in ear infections. 72 percent reduction in lower respiratory tract infections often requiring hospitalization for children under age one. And exclusive breastfeeding for four months and some breastfeeding for at least six months is associated with a 64 percent reduction in nonspecific gastrointestinal infections. Premature infants fed human milk have sharply reduced rates of necrotizing enterocolitis (NEC). A devastating gastrointestinal infection resulting in significant reduction in morbidities and mortality, fewer hospital readmissions. When babies are in critical care, moms are often required to travel from one to two hours away. Access to a breast pump at home can ensure new moms are still able to provide their babies with the beneficial breast milk, even when moms are not there to nurse. This cut disproportionately affects the lower income and underserved populations. Moms who may already be struggling with returning to work or school, or are separated from their newborns for medical reasons. It also affects the most vulnerable population of young infants who may be in critical care and dependent on their moms’ milk for survival. Many breast pump companies, to most notably include Medela, will be actively rallying and combating these cuts. If you can, consider writing or calling in to your health insurance provider to ask them NOT to follow in Anthem/Blue Cross Blue Shield’s footsteps. Slashing access to the vital technology a good breast pump provides is not only detrimental, but irresponsible as well. And, of course, if the cuts implemented affect you, remember that the power of the consumer is often what encourages swift change. Consider switching providers if possible.